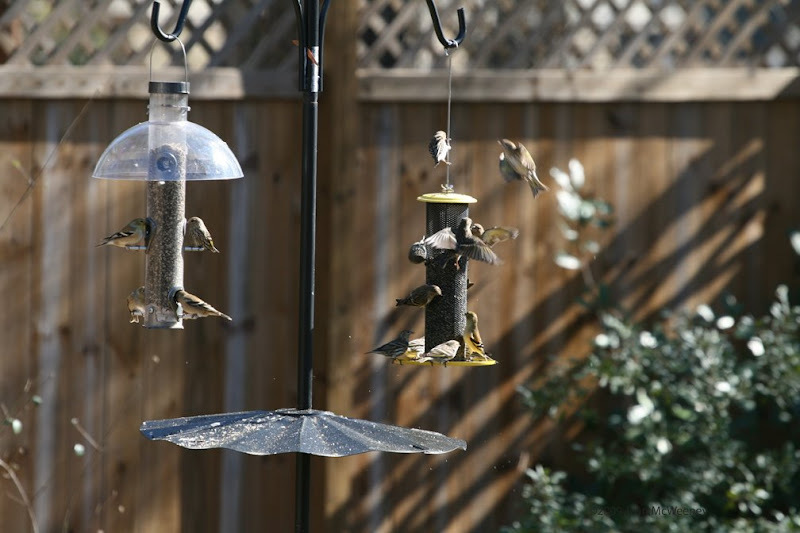 My friends, the American Goldfinches, finally arrived a scant two weeks ago. 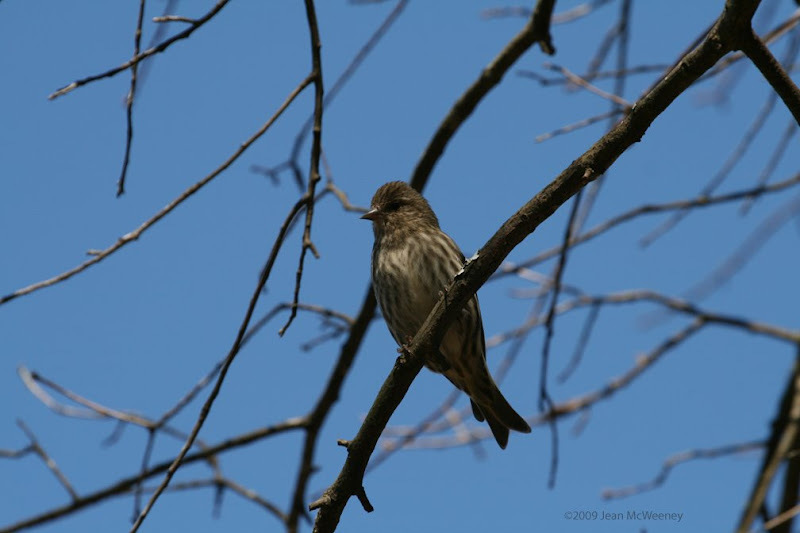 This time they brought their friends, the Pine Siskins (see photo below for a close up of the pine siskin). These guys are ravenous and I'm quickly running out of seed. This morning when I went to break up the ice in the bird baths, I noticed I need to move my teak bench and table. They're close to the bird baths and covered with bird poop! I love the shot where one was caught in flight. Wow! You've got the birds! I just got a pair of binoculars and have been sipping coffee all day tracking down what's in my yard...not as many as what I see here though!